For those that followed us on our trip to Colombia and Brazil, we hope you enjoyed the photos and posts if you were able to get them. This is a short newsletter about our event as well as the Limited Reserve offering of coffees about to happen. We will be running an event where we show pics from our trip, taste some coffees from the areas we went to and give you some first hand perspective from Brazil and Colombia. We hope we can cram all of this into an hour and will be running the event on June 2 at night, starting at 18:30. The event will cost R200 and will include all the coffees, some very light snacks and a take away box of a Microlot of one of the farms we visited on the trip. To book there are a number of options: you can email us at orders@quaffee.co.za; go to the facebook event here and it will be available on Cape Coffee Bean’s website soon too. From next week we will be offering three limited reserve coffees. The coffees are very limited, there will be only 2kgs of roasted coffee of the Esmeralda and the Ninety plus coffees will be about 30kgs each. We will only be roasting these coffees when there are enough orders, and we will be offering them exclusively to those people on this mailing list that have ticked the option “Notify me of limited edition coffees”. We plan to offer the Esmeralda first, followed by the Kemgin and then the Nekisse and will repeat the Kemgin and Nekisse on a fortnight basis. 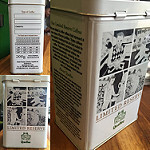 These coffees are only available in 200g special reserve tins (see pics) and will sell for between R310 (for the Esmeralda) and R400 (the Nekisse) per tin. We are the very first South African Roaster to offer the Ninety plus coffees and hope to offer them again if they sell. These coffees are some of the best coffees available on the planet and we really are excited to offer them. So if you are keen, make sure you set your options so that you can receive the offer (although we will also add the offer on our various social media feeds). Let’s start with the good news first. We have some amazing Burundi coffees from the Long Mile Project. We were able to secure a natural processed Gishubi and a honey processed Nkonye. The Gishubi will only be available at Quaffee AT Buitenverwachting and the Nkonye will only be available at Quaffee AT the Vineyard. These coffees are the best Burundi’s we have ever tasted and we are hoping to secure more. We tasted them in December last year but they have only just reached us. We are hoping that we can get a new crop quicker this time. The disappointing news is about our Colombians, especially Los Naranjos and Los Idolos. We are running very low on these and we have not had a status update for 2 weeks on the shipment that was ordered in March. We suspect that the coffees will only get here in June. We are trying to prevent this delay in future and Caravela (our supplier in Colombia) is trying to make a plan but since we can only order enough coffee (due to the large outlays of cash) we have to live with this issue. We have sourced a good enough coffee from Huila so we are hoping the Relationship Blend will last until then. 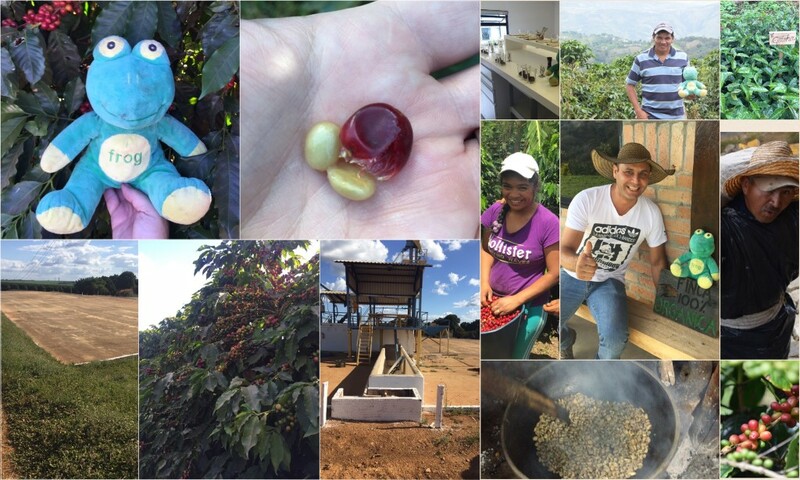 Previous Caravela – PECA Program, future of coffee?